ROCK HILL, S.C. -- Wilma LaVerne House Rapp, 86, 0f Rock Hill, South Carolina, passed away peacefully Tuesday, April 9, 2019. Wilma was born December 19, 1932, in Bonne Terre, Missouri, to the late Mae Anna and Joseph Jewell House. Wilma is survived by her husband, Charles "Glenn" Rapp; sisters, Linda Hill (Jim) of Rock Hill, South Carolina, (Jim), and Sharon Culton (Ronnie) of Rock Hill, South Carolina; her children, Russell Hovis (JoAnne) of Rock Hill, South Carolina, Roger (Trisha) Hovis of Blythewood, South Carolina, Cindy Rawson of Farmington, Missouri, Becki Morgenstern (David) of Washington, Illinois, Scott Rapp (Lisa) of Rock Hill, South Carolina; 10 grandchildren and six great-grandchildren. She was preceded in death by her brothers, Albert House, Fred House, and Carl Lynn House, and her son, Timothy Hovis. A funeral service to celebrate Wilma's life will be held 3 p.m. Thursday, April 11, 2019, in the Chapel of Bass-Cauthen Funeral Home with the Rev. Mike Ditton officiating. The family will receive friends one hour prior to the service from 2-3 p.m. at Bass-Cauthen Funeral Home. Interment will follow at Rock Hill Memorial Gardens. Bass-Cauthen Funeral Home and Cremation Center is proudly serving the Rapp family. Online condolences may be registered at www.basscares.com. PARK HILLS -- Jonna Fay Smith, 88, of Desloge passed away March 25, 2019, at Missouri Baptist Hospital. She was born September 4, 1930, in Leadington, Missouri. She was preceded in death by her parents, Willard C. Halbrook Sr. and Adele Head Halbrook Short; her husband, J. Ellis Smith; and two brothers, Milburn 'Bud' Halbrook, and Gale Halbrook. Jonna is survived by her sister, Cathra 'Cathy' and husband Michael Groves; step-sister, Janis Tinnin; and brother, Willard C. Halbrook Jr. and wife Michele. Nieces, nephews, other relatives and friends also survive. A memorial visitation will be held 10 a.m. until time of memorial service at 11 a.m. Saturday April 13, 2019, at Horton-Wampler Funeral Home with Rev. Eddie Bone officiating. Memorials may be made to the Methodist Church or charity of your choice. PARK HILLS -- Leo E. Talley, 86, of Farmington passed away April 6, 2019, at Missouri Baptist Hospital. He was born September 21, 1932, in St. Louis. Leo was a member of New Heights Church. He was preceded in death by his parents, Elmer D. and Agnes 'Forrester' Talley; his wife, Marlene Ruth Talley, August 7, 2018; son, Ronald Talley; grandson, Robert Avis; and brother, Charles Talley. Leo is survived by his children, Linda Butler and husband Thomas, Kenneth Talley and wife Vicki, Donald Talley, Anita Key and husband Mike, and Dale Talley and wife Michelle; 14 grandchildren and 20 great-grandchildren; brothers and sisters, Sharon Denbow and husband J.B., Minerd Tally and wife Etta, and Ilene Hollingsworth. Several nieces, nephews, other relatives and friends also survive. A memorial will be held 11 a.m.-1:30 p.m. Saturday April 13, 2019, at New Heights Church in Farmington, Missouri, with Rev. Rocky Good officiating. Arrangements by Horton-Wampler Funeral Home in Park Hills. FARMINGTON - Dan William Stott passed away on Saturday, April 6, 2019, at Barnes Jewish Hospital in St. Louis, Missouri, following a brief illness. He was born in Camden, Arkansas, on December 30, 1946, and was the oldest son of the late Colbert Lee and Jean Nunnally Stott. Dan was preceded in death by his parents and an infant brother, David Alan Stott. Dan grew up in Camden, Arkansas and graduated from Camden High School. He attended Henderson State University (then HSC). Following college graduation, he landed a teaching position at Farmington High School, where he taught math for the next 29 years. Dan was a talented musician, playing the clarinet, tenor saxophone, piano and organ. He spent over 50 years playing the organ at various churches, including a thirty-nine year tenure at St. Joseph Catholic Church as organist and choir director, where he played masses, weddings and funerals for generations of worshipers. His talent, dedication and beautiful music will be sadly missed. Dan was also active in the Elks Lodge 1765 of Farmington for forty-three years, where he served in various leadership and service positions, including Exalted Ruler and Secretary (thirty-five years). Dan loved buying and selling antiques, and spent many Saturdays at estate sales. He admired art deco Camark Pottery and American Fostoria glassware, and was well known among collectors for his expertise in all things related to Aladdin lamps. Dan served for many years on Farmington’s Historic Preservation Committee. Dan loved his Farmington community, and leaves behind a host of dear friends, former students, and colleagues who mourn his passing and cherish fond memories of shared times. He is survived by his brother, John C. Stott (Barbara) and niece and nephew Rebecca Stott Smith (Taylor) and J. Cory Stott. He also leaves many first cousins to share fond memories of growing up in South Arkansas. The family will receive friends from 5 p.m. until 8 p.m. on Thursday, April 11 at Cozean Memorial Chapel, 217 W. Columbia, in Farmington, Missouri. The visitation will also include an Elks Ritual at 6 p.m. and Rosary at 7 p.m. Visitation will resume on Friday morning at 7 a.m. until 9:30 a.m. followed by a Mass of Christian Burial will be held at St. Joseph Catholic Church, 10 N. Long St. in Farmington at 10:00 a.m.
Graveside services will be held at Greenwood Cemetery in Camden, Arkansas, on April 14 at 3 p.m. Should friends desire, memorials may be made to St. Joseph Catholic in Farmington or to a charity of choice. View the online obituary and share your condolences at cozeanfuneralhome.com. PARK HILLS -- Ronnie Lynn Hartley, 59 of Park Hills was born May 30, 1959, in Bonne Terre to the late Acy and Nancy (Tyree) Hartley and departed this life April 9, 2019. He is preceded in death by Doris Jean, Bob, Bill, and Ed Hartley. Ronnie is survived by his wife, Donna Lynn (Sieli) Hartley; his sons, Ronnie (Casey) Hartley, Jr., Mark Cook, Anthony (Ann) Cook, and Andrew (Whitney) Cook; two grandchildren, Rumer Hartley and Gabrielle Cook; brothers and sisters, Danny (Ruth Ann) Hartley, Johnny (Doris) Hartley, Lou (Ed) Pritchett, and Brenda Penberthy. Other relatives and friends also survive. Services at a later date. Family served by Coplin Funeral Home, Park Hills. 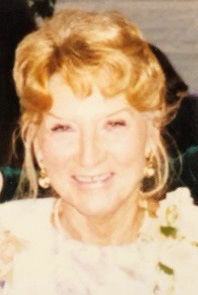 FREDERICKTOWN -- Sylvia Lipsutz, of Fredericktown, passed away on April 6, 2019, at the age of 93. Private services will be held and being handled by Cozean Memorial Chapel. View the obituary at cozeanfuneralhome.com. PARK HILLS -- Leo Talley, 86, of Farmington passed away. A memorial service is pending at Horton-Wampler Funeral Home, Park Hills. 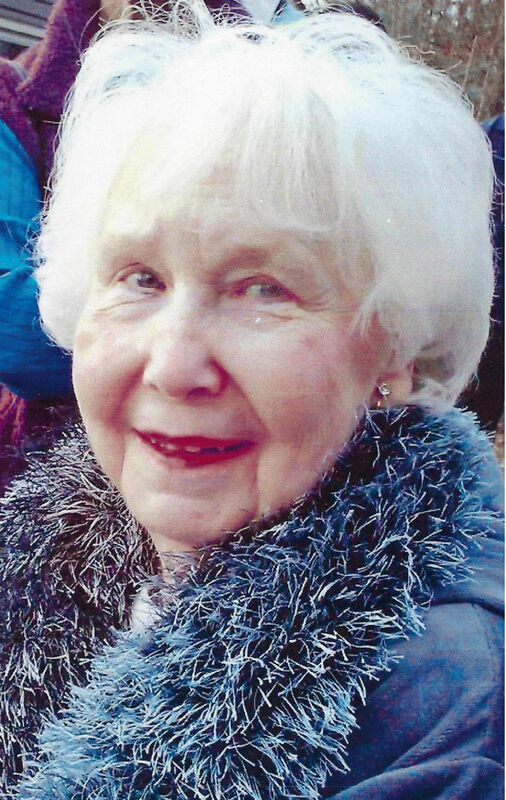 PARK HILLS – Helen Francis (Loker) Wakefield of Park Hills passed away March 8, 2019, at SSM St. Clare Health Center in Fenton at the age 90. She was born March 22, 1928, to the late Richard and Mildred (Bowling) Loker. In addition to her parents, she was preceded in death by her husband, Cledith M. Wakefield Sr., a son, Richard Wakefield Sr., a granddaughter, Melissa Wakefield, a great-grandson, Arthur Warren, her step-daughter, Charlotte Wakefield Beard, sisters, Mary Lewis, Lucy Adams, Mildred Heuer, and Louise Loker, brothers, Ralph Loker, Raymond Loker, Paul Loker, Edward Loker, and Roy Loker, and son in law, James P. Lange. Helen formerly worked as secretary for the Delassus Baptist Church. She also worked as a telephone operator for the Farmington Community Hospital. She enjoyed reading, sewing, quilting, bowling, puzzles, researching genealogy, Cardinals baseball and spending time with her family. She will be fondly remembered and dearly missed by all who knew and loved her. Helen is survived by her children, Cledith (and wife Kristi) Wakefield of Leadington, and Ruth Ann Lange of Farmington, eight grandchildren, Kathy (and husband Bryan) Kiepe of Farmington, Amy Gibbs of Farmington, Michelle Hamm of Farmington, Heather (and husband Kristopher) Butler of Richwoods, Angela (and husband Dal) Pettus of Pensacola, FL, James (and wife Dawn) Lange of Annapolis, MO, Travis Wakefield of Farmington, and Richard Wakefield Jr. of Richwoods, numerous great grandchildren, great-grandchildren, nieces, nephews and friends. A memorial service will be held at 2:00pm on Saturday, April 13, 2019 at Delassus Baptist Church. Memorials, if desired, may be made to VFW Post 5896, 814 East Karsch Blvd, Farmington, MO 63640. FARMINGTON -- Elroy Schoenbeck, of Farmington, passed away on April 7 at the age of 81. Memorial visitation from 12 p.m. until time of service at 2 p.m. on Saturday, April 13 at Trinity Lutheran Church in Red Bud, Illinois. View the full obituary at cozeanfuneralhome.com. PARK HILLS -- Vicki Beckman, 72, of Park Hills, passed away April 7, 2019, at her home. She was born February 25, 1947, in Louisiana Missouri, to the late Gilbert and Dorris (Reed) Sutton. She was preceded in death by her parents; husband, John Beckman, Sr.; two brothers, Michael and Greg Sutton. Vicki is survived by her son, John William Beckman, Jr.; grandchildren, Amanda Sue (Eric) Beckman, Lindsey Faye (Harold) Beckman; two great-granddaughters, Emma Faye and Kiley Ann White; brothers, Charles, Gary, John Patrick, and Kenneth Sutton. The family is planning a Celebration of Life, April 20, 2019, at Vicki’s Home in Park Hills. Arrangements are under the direction of C.Z. Boyer and Son Funeral Home in Desloge. Please view full obituary and share condolences online at www.czboyer.com. DESLOGE -- David Poole, 85, of Park Hills, passed away April 7, 2019. He was born November 4, 1933, in St. Louis, to the late Virgil and Nellie (Bozarth) Poole. David loved his animals like his own children and was a “dad” to many people. He enjoyed passing his time making things out of junk and improving things that didn’t need it. He was preceded in death by his parents; beloved wife, Bernice (Collier) Poole; brother, Joe Poole; three sisters, Dorothy Noll, Mary Poff, and Helen Poole. David is survived by his children, Cindy (Dan) Pyatt, Dave (Measy) Poole, Michael and Michelle Poole; step-daughter, Tricia Noll; four grandchildren, Nathan, Trevor, Kayden, and Kenzy; step-grandson, Steven Noll; two great-grandchildren, Natalie and Noah; and two step-grandchildren, Robert and Zoey. Visitation will be held at C.Z. Boyer and Son Funeral Home in Desloge, Wednesday, April 10, 2019, from 5 p.m. until 8 p.m. The service will be held in the C.Z. Boyer and Son Chapel, Thursday, April 11, 2019, at 11 a.m. with Pastor Mark Moss officiating. Interment will follow at St. Francois Memorial Park in Bonne Terre. Memorials may be directed to Colon Cancer Foundation. Please view full obituary and share condolences online at www.czboyer.com. FARMINGTON -- Della Marie Tucker, 81 of Farmington passed away April 6, 2019, at St. Joseph Hospital in St. Charles. She was born September 25, 1937, in Ste. Genevieve County. She was preceded in death by her parents, Marvin and Nora (Winebarger) Miller; and her sister Melba Wheeler and brother-in-law Clarance Humphrey. Della is survived by her husband, Ivan Tucker; and children, Eugene Tucker (Sherri): Janiece Johnson (David): Melanie Brown (Steve); nine grandchildren, 16 great-grandchildren, and two great-great-grandchildren. She is also survived by her siblings, Neoma Humphrey, Joyce Alexander (Don), Robert Miller (Vivian), and Dorothy Bowen (Audrey); as well as many nieces and nephews. Visitation will be held Tuesday, April 9, 2019, from 11 a.m. until 1 p.m. at the C. Z. Boyer & Son – Taylor Chapel in Farmington. Service will be Tuesday April 9, 2019, at 1 p.m. at the C.Z. Boyer & Son – Taylor Chapel with Pastor Tim Mattingley officiating. Burial will be held at Pine Log Cemetery following services. Memorials may be made to the American Kidney Fund. View obituary and share condolences online at www.czboyer.com. PARK HILLS -- Michael Jay Jones, 45, was born April 28, 1973, in St. Louis, Missouri, to Betty (Cheatham) Jones and the late Bobby Jones. He departed this life April 4, 2019, in Farmington, Missouri. Michael is survived by his mother, Betty Jones; wife, Laurie (Pettus) Jones; children, Michael and Zachary Jones, and Morgan Chance; granddaughter, Kaidence; sisters and brothers, Donnie Wayne Jones, Bobby (companion, Sandy) Jones, Gary (Ellen) Jones, Sharon (Robert) Meredith, and Tanya (Carl) Campbell. Nieces, Nephews, Cousins and dear friends also survive. A Celebration of Life will be held at a later date. Family served by Coplin Funeral Home, Park Hills. PARK HILLS -- Dorris Lee Adams, 89, of Desloge, passed away April 3, 2019, at Country Meadows. She was born November 12, 1929, in Esther, Missouri. Dorris was a member of Esther Baptist Church; and an avid ham radio operator. She was preceded in death by her parents, William and Mary 'Cooper' Mackley; her husband, Elvis (Crawdad) Adams; two sisters, Peggy Marshall, and Thelma Mackley. Dorris is survived by her sister-in-law, Shirley Bequette; nieces, nephews, cousins other relatives and friends also survive. Visitation will be 10 a.m. until time of funeral service at 12 p.m. Monday April 8, 2019, at Horton-Wampler Funeral Home in Park Hills Rev. Bradford Laubinger officiating. Burial will be at Woodlawn Cemetery in Leadington, Missouri. Memorials may be made to Kindred Hospice. PARK HILLS -- Matthew “Chubby” Lynn Hammers was born March 2, 1979, in Farmington to Geraldine (Faulkner) Hammers and the late Ronald Hammers. He departed this life April 4, 2019. He is survived by his fiancee, Jessica Webers; children, Haven, Kandin, Masson, Ryder, Brettly, and Peyton Hammers, Chelsia Guenther, and Kortney Gunther; siblings, Ron (Charrolett) Hammers, Jr., Floyd (Julie) Hammers, Donnie Hammers, Rhonda (David) Price, Lloyd (Cindy), Gary, Marvin Hammers, Thomas (Amy) Watson, and Carolyn Goodman. Nieces, nephews, cousins, other relatives and friends also survive. Visitation will be 2 p.m. until time of funeral service at 5 p.m. Monday, April 8, 2019, at Coplin Funeral Home Chapel with Rev. Scott Jones officiating. In lieu of flowers, Memorials to Coplin Funeral Home appreciated. PARK HILLS -- Dorris Lee Adams, 89, of Desloge passed away. Arrangements pending at Horton-Wampler Funeral Home in Park Hills. FARMINGTON – Lyle Leo Rich, of Farmington, passed peacefully on April 1, 2019 in hospice at Jefferson Barracks at the age of 73. Friends may call on Friday, April 5, 2019, beginning at 1 p.m. until the funeral service at 3 p.m. with Chaplain Francis Roberts officiating.